RM Converters is into rotogravure printing and lamination. 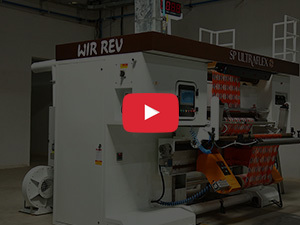 The rotogravure printing process is one of the fine art processes used in flexible packaging industry. The company prints on all types of materials like polyester, OPP, Nylon, Aluminium Foil, Paper and PE, with a wide range of thickness of 8 to 110 microns. This video will be updated soon!! !